Coupons valid until September 30, 2018. May redeem multiple coupons per person. Valid Monday to Friday from 10 AM till 6 PM. Bringing food and drinks is not allowed. Pets are not allowed. Burkinis are allowed. Kids below 6 years old enter for free. Groups of guys are not allowed. Management reserves the right for admission. Reservation required on 09 330 202, quote Gosawa coupon. Non Refundable / No carry over. VAT included in price. Standard terms & conditions apply. Who said summer fun can be either at the mountains or at sea? 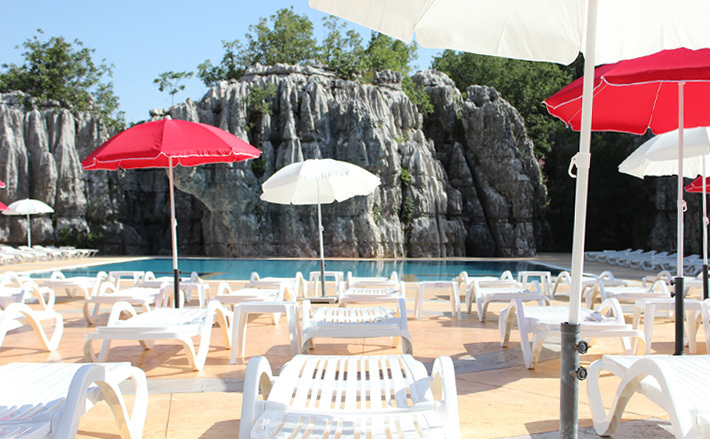 With today's deal enjoy a pool day at a refreshing mountain spot. Benefit from 50% off a Full-Day Pool Entrance to Wood Hills Resort for only $6.66 instead of $13.33. Fresh air and cool water at Wood Hills Resort! 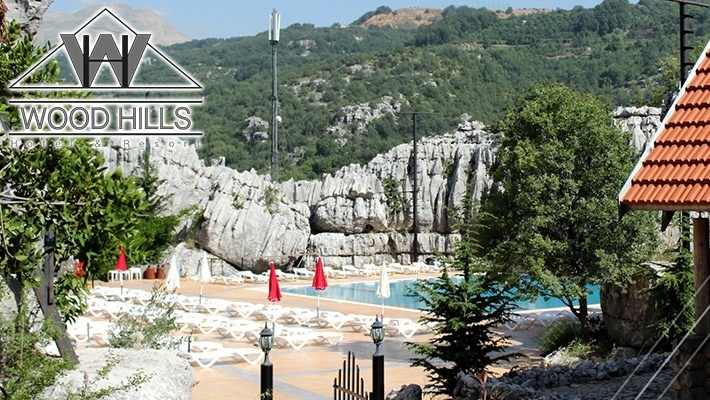 Wood Hills Resort is situated in Mayrouba hills, it is an eco-touristic getaway resort built on 50,000 square meters of virgin wilderness. 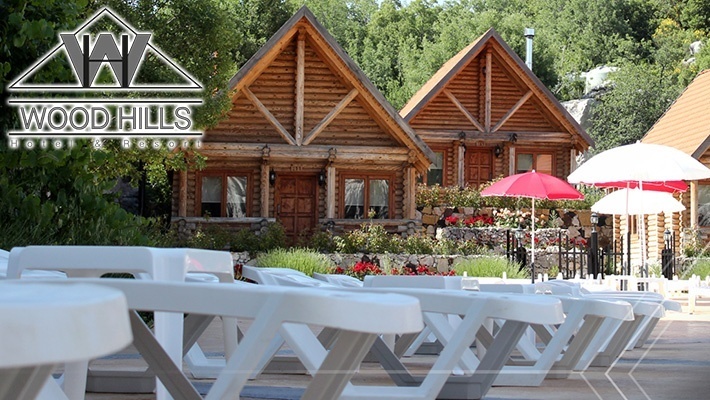 At Wood Hills Resort you can find well-equipped log cabins, woodsy accents such as hardwood floors and bed frames made from finished tree branches and a porch that sits at the front of a large panoramic picture of the great mountains. 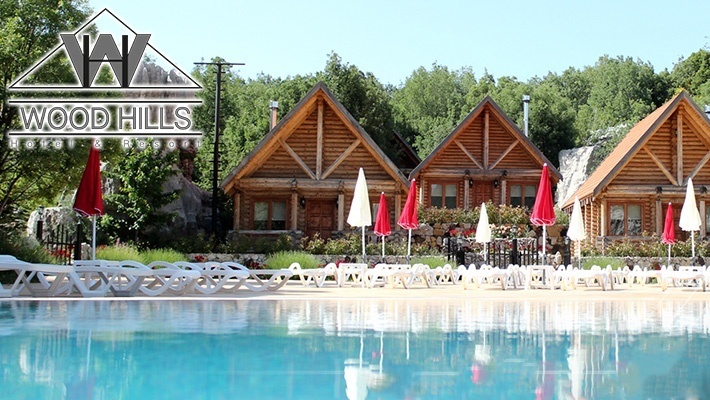 The resort is divided to several areas: log cabins with a mountain view, a camping reserve area, pool area, a large log restaurant and a base for extreme eco-touristic activities. Wood Hills' activities include; Rock Climbing, Tyrolean, Archery, Monkey Bridge and Swing Bridge. Wood Hills Resort is your go-to destination for some enjoyable moments.